1. My readers. Thanks to all who follow this blog. Thanks, too, for your comments and suggestions. The night sounds and tastes of summer posts were inspired by your comments as is item number 2, below. 2. Burgers lost and found. Our reader Carol was studying the Mormon migration from Illinois to Utah. On the trip, she had a burger in Hamilton, Illinois and decided it was the best ever; it was, she reports, “the burger of dreams.” Since then, any burger she has had is measured against the one she had in Illinois. My favorite burger memories, my favorite lost burgers, include the employee meals that Paul Hunting served at a Long Island restaurant and burgers at O’Malley’s in East Hampton. 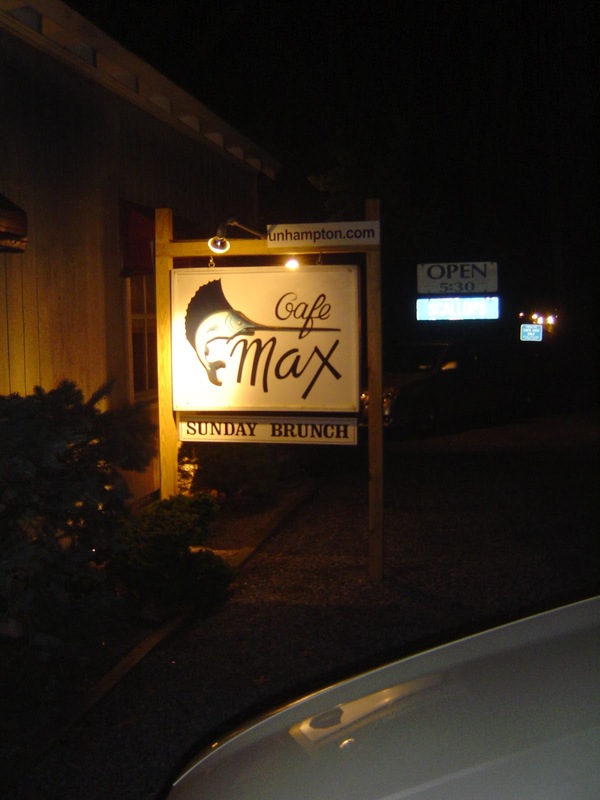 While the restaurant where Paul cooked has changed hands and O’Malley’s is closed, Café Max in East Hampton has an East Coast burger that measures up to the burgers of my memory. I thank my daughter and friend Dennis for introducing me to In ‘n Out Burgers. For under $6, you can get an excellent burger, fries that are crispy without creepy additives and a medium drink. For $2 more, you can get a chocolate shake better than any mousse, brownie or chocolate cake. 3. Le Mirage Restaurant. 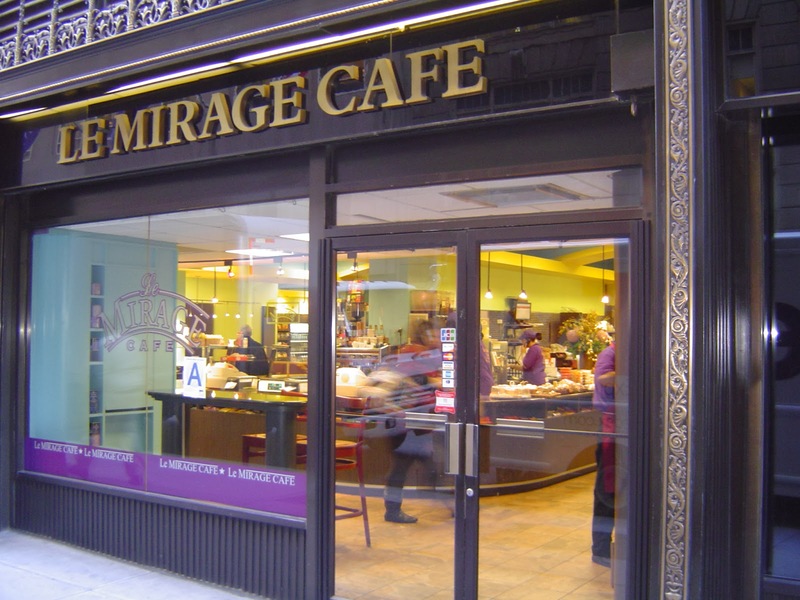 We first discovered Le Mirage on 43rd Street between 5th and 6th Avenue on a cold morning. The coffee, breakfasts and lunches were a tonic against the wind chill factor. We returned to Le Mirage on a wet summer day and found its menu is also delightful during the warmer months. 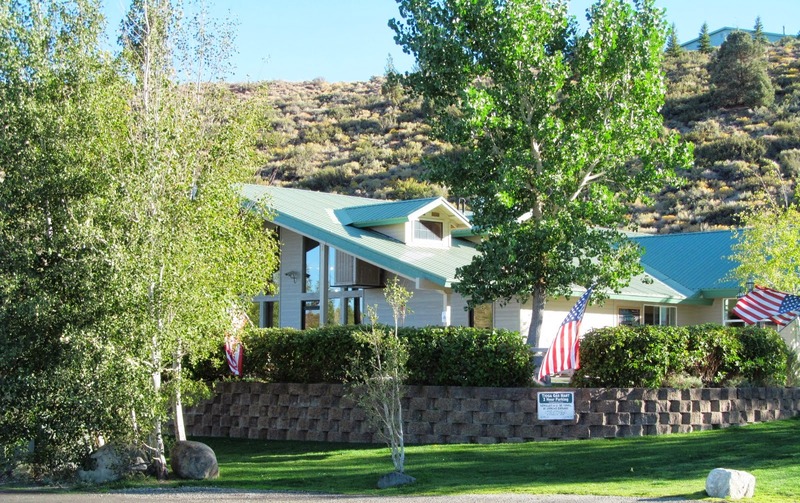 The place has an incredible variety of fresh and appealing breakfast and lunch dishes. They have omelettes, eggs on rolls, pizza, sandwiches, wraps and a buffet. 4. Apple picking. 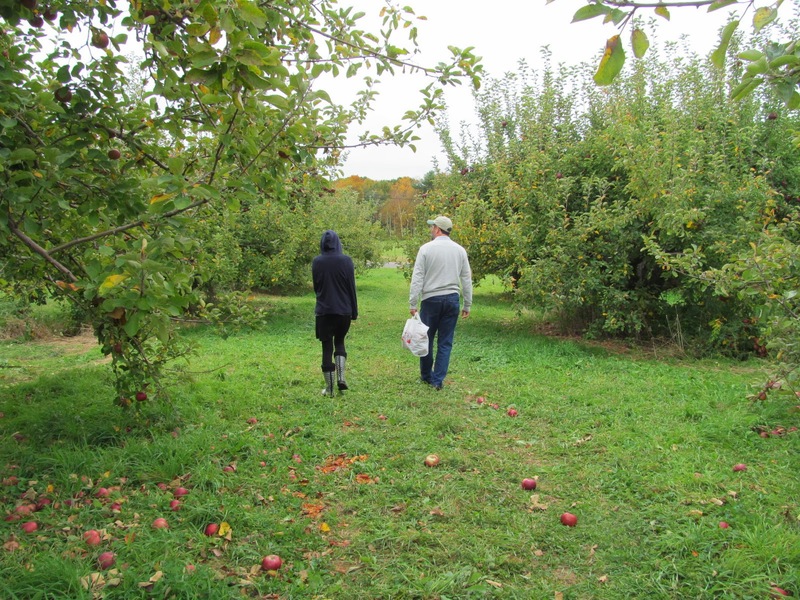 In 2013, apples were in the kitchen every day of harvest season. We picked apples at Indian Ladder Orchards and at our friend Jack Brennan’s house. It’s really cold, but I still taste those great apples and it reminds me of when the weather was more temperate. 5. 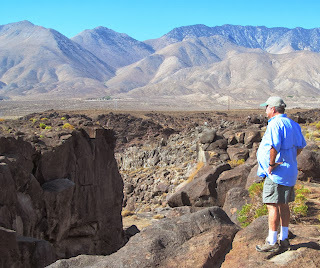 The Eastern Sierras. When Dennis and I returned to the mountains, trout were caught every day. And . . . we enjoyed much good food, scenery and history. Yosemite. 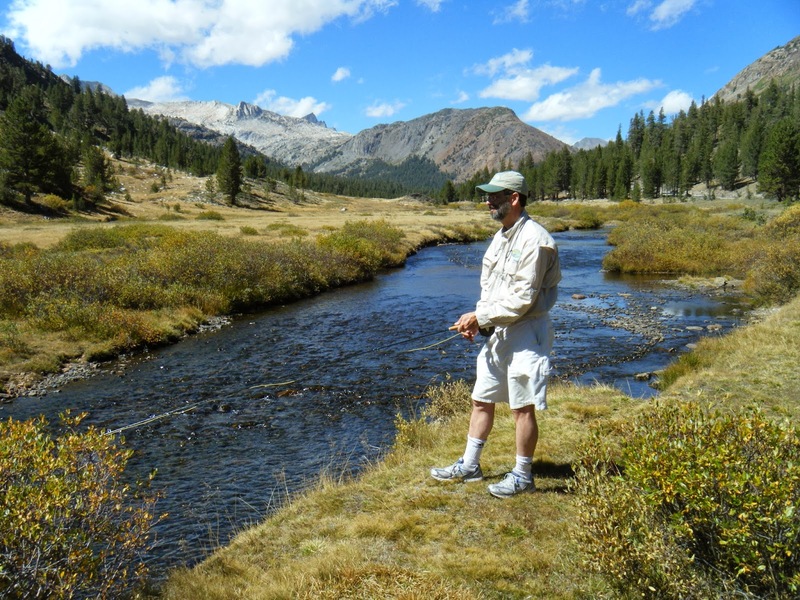 My only regret: we were fishless on lower Rush Creek, whose looks screamed “trout.” If Dennis couldn’t find a trout, they must have all been traveling to Albany, going apple picking. Seymour helped me acquire trip provisions and set up a pre-trip training table at Ernie Jr’s Mexican restaurant. Pasadena Casting Club friends offered encouragement; Tom Smith provided an expedition shirt to screen out the infernal high country sun. enjoyed the Alabama Hills Café again and discovered new deli at the intersection where the road climbs the mountains to Yosemite. 6. High Hook Wineries. One of the nicest 2013 wine moments, that’s wine moment, not whine moment, was meeting Mike Seymour and John Heus, High Hook’s proprietors. Mike and John are congenial and capable; their wines are tasty. I hope to enjoy more of them in 2014. 7. Top of the Morning Café, Utica, New York. When a favorite restaurant closed, I needed a breakfast place. I found Top of the Morning Café north of the Utica Thruway exit. The place is bright, the staff welcoming and the food is great. Readers who have stopped by liked the place. 8. Pizza: In 2013, I got to end the year with a few slices of pizza from Prima Stella Pizzeria in Manorville, NY on eastern Long Island. 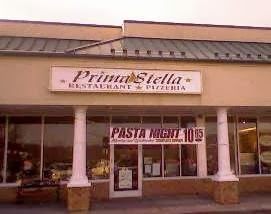 Prima Stella has a thin crust pizza that is tops among pizza in the New York metropolitan area - - maybe even the nation. Also in 2013, Mark's Pizza opened a new store in suburban Rochester. Mark's Pizza has a crust that is part way between thin crust and Sicilian. The restaurant cuts a slice that is generous in size, amount of cheese and toppings. Plus, the staff are capable and welcoming. There are several other Mark's in the Rochester area. If you plan to pass through the area, look this local restaurant up and save some time to stop in! 9. American Hustle. Okay, Okay. I know this is being written in 2014, but . . . our last event before the ball dropped in Times Square was to see the movie American Hustle. This movie is based, to some degree, on the ABSCAM sting that the FBI set up in the late 1970's to catch crooked politicians. However, I think the director and screenwriter used ABSCAM as a starting point for a movie that felt like a big, flowing novel onscreen. Throughout the movie is a satisfying mix of drama, humor, exercise of raw power and countless plot twists. Perhaps most noteworthy is the high quality of the performances. Jennifer Lawrence, Amy Adams, Christian Bale, Bradley Cooper and Louis C.K. do a masterful job of transforming themselves from A list celebrities into striving, conniving and often desperate hustlers from America's Garden State. This is a must see! If you have any favorites of 2013, please leave a comment and share them with all of us!